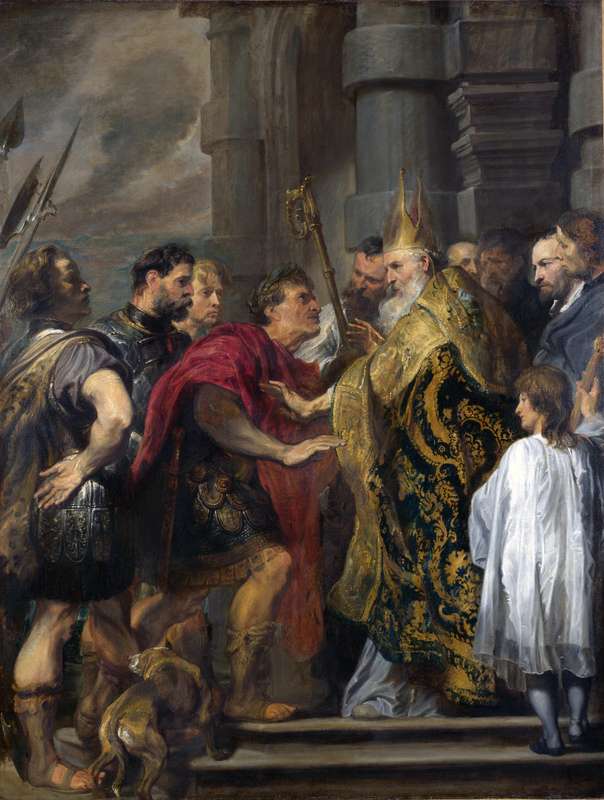 Saint Ambrose barring Theodosius from Milan Cathedral, by Anthony van Dyck (1599–1641). From Wikipedia. 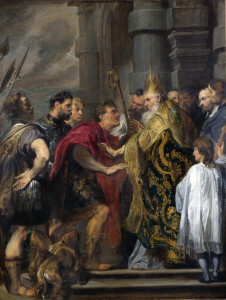 Replenish the Church, O Lord God, with the spirit of boldness, to judge righteous judgement; with the spirit of sound learning, to interpret thy truth; with the spirit of worship to magnify thy mercy in the beauty of holiness: and appoint unto her fathers and teachers like Saint Ambrose to guide the whole Christian people into the way of peace; through Jesus Christ our Lord, who liveth and reigneth with thee and the Holy Ghost, ever one God, world without end. Amen.